Renowned architect David Watson’s most recent project was a 4,000 sq ft, Cape Cod-style Hermosa Beach estate modeled after the lighthouses that dot the Atlantic Coast of the United States. 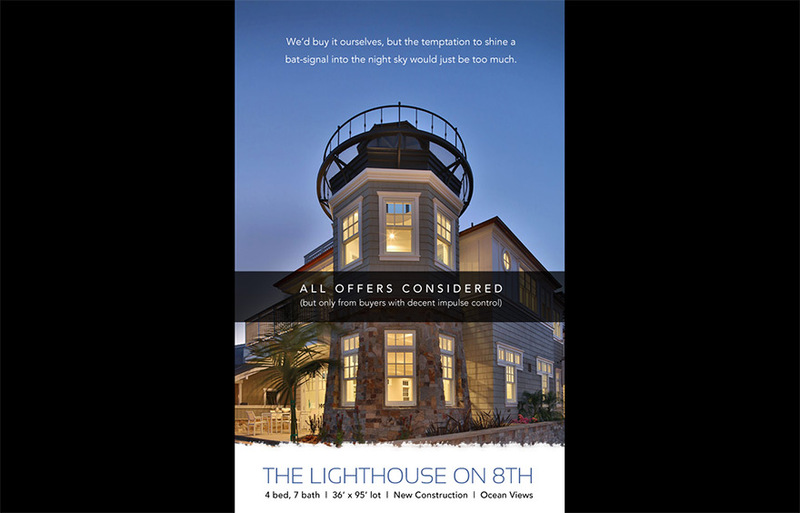 The home was offered for sale early in the construction process, but attracted very little interest…even though “The Lighthouse on 8th” (as it became known) quickly became a local landmark. The home remained unsold even after it was completed and staged; its location directly adjacent to a popular local bar and its exposure to busy Hermosa Avenue remained obstacles that buyers were unwilling to accept. Humor is generally absent from luxury marketing, but in this case it allowed the home to stand out even more. The cheekiness of the campaign (including an email insinuating the ability to shine bat-signals out of the lighthouse) was a success…the home sold for over $4 million in the Fall of 2015. 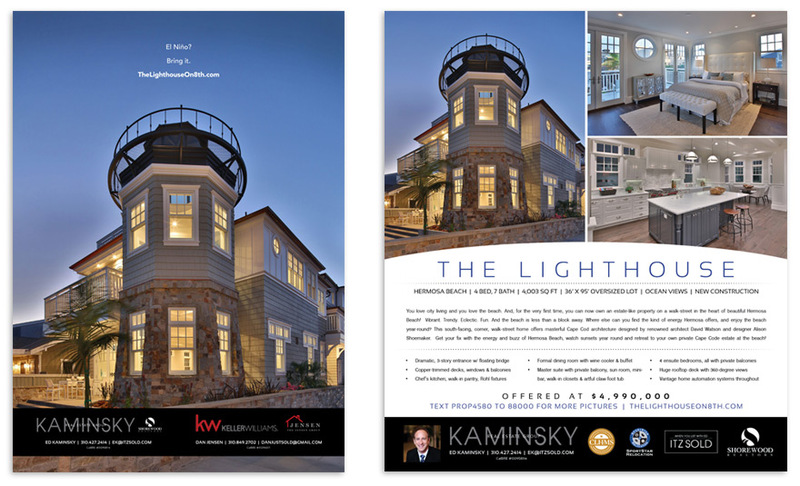 Print ads appearing in "South Bay DIGS" and "The Beach Reporter." Screenshot of email marketing sample; click to view in browser.